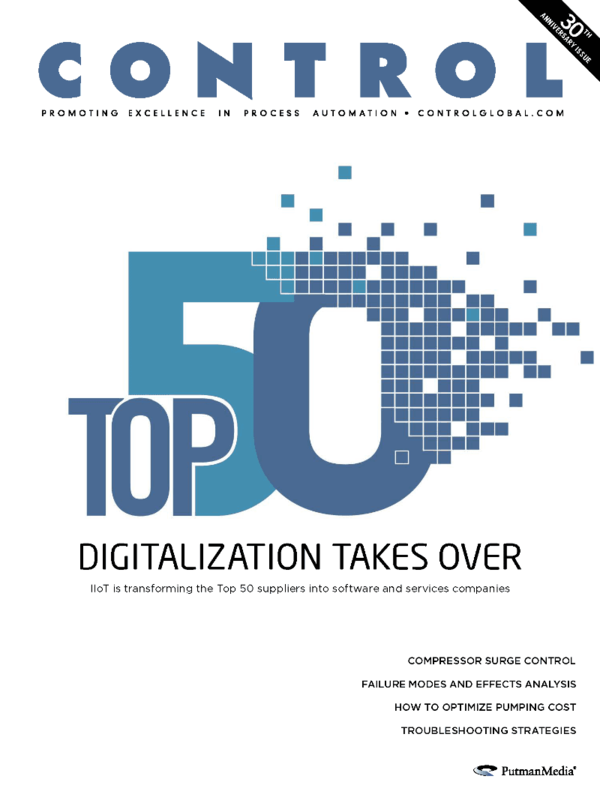 The storm surge of digital transformation, driven by the Industrial Internet of Things (IIoT), cloud computing, advanced analytics and the push to managed services, continues to transform how the Top 50 biggest worldwide and North American automation suppliers do business. Also in this issue are feature articles about simulation and asset management, and we deliver the latest in process analyzers. Find all of this and more in the October issue of Control.